Inter emerge victorious, but it was far from easy. A surprising system from Alberto Zaccheroni flummoxed Inter, and it took a combination of Momo Sissoko’s madness and Maicon’s brilliance to give Inter the crucial three points. No surprises from Inter – they played what is now their usual 4-2-1-3 shape, with Samuel Eto’o and Goran Pandev switching wings. Juventus, on the other hand, played a strange 4-3-3 shape that saw three extremely deep central midfielders playing in front of the defence, with Vicenzo Iaquinta making diagonal runs from a far-left position, Alessandro del Piero looking to drift in from the right, and Diego playing almost as a deep-lying centre-forward, being closely marked by one of the centre-backs. It was a highly unusual system – perhaps most comparable to Barcelona’s ‘alternative’ shape last season when they played their strikers wide and their playmaker central. It seemed to work, however, because Inter were poor in the second half. Their passing was unimaginative and they struggled to find men in space. The three Juventus forwards didn’t press particularly high, nor did they have to track back much – but they did make it hard for Inter to play the ball from their defence to midfield, and also restricted the full-backs ability to bomb on down the line. Further forward, Inter struggled to find Wesley Sneijder in any real space between the lines because he was up against three Juventus defensive midfielders who made sure he was never unmarked, and Eto’o and Pandev struggled to make any impact against the full-backs, regardless of which side they played. What Inter were crying out for was a genuine winger who would be happy picking up the ball deep and running at the full-back with the ball. Eto’o and Pandev are forwards playing wide and do a good job there, but Inter lack someone who can really carry the ball on the flanks, and it’s at times like this Jose Mourinho must wish that either Ricardo Quaresma or Mancini had lived up to their reputation upon their arrival at the club. Sissoko was sent-off towards the end of the first half for a stupid challenge when already on a yellow card, and Juventus were forced to change their system. 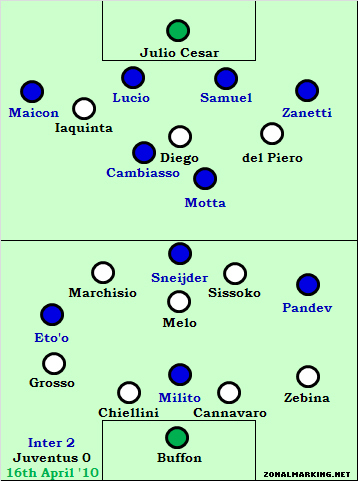 Del Piero was withdrawn, Christian Poulson replaced him and played where Sissoko had been, with Diego now floating to the right of Iaquinta, looking to pick up Esteban Cambiasso when Inter had the ball. The introduction of Mario Balotelli for the out-of-sorts Pandev seemed to rejuvenate Inter – his outright pace caused Fabio Grosso no end of problems, and Maicon seemed to be the main beneficiary, constantly being the man in space in an advanced right-sided position. That said, Inter still struggled to create chances. There does seem to be an over-reliance on Sneijder for creativity, even with their multi-talented starting XI. Diego Milito and Pandev are fine players but not creators, whilst Eto’o and Balotelli are so direct that they need to be complimented with a more intelligent ringleader. 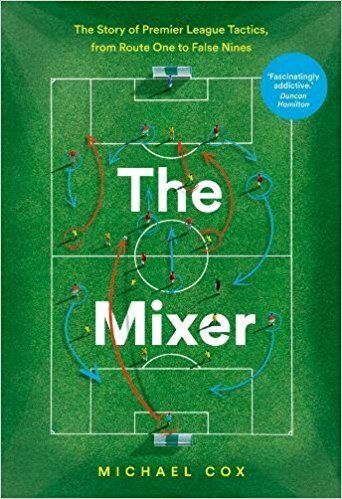 By playing three midfielders so deep and Sneijder any space, Juve largely stopped Inter – although Cambisso and Dejan Stankovic began to exert their influence on the game. The game was won by this stunning strike from Maicon – a moment of pure individual genius. After that goal, Juventus looked drained of any energy - there was not the confidence, stamina nor pure talent required to get themselves back in the game having defended solidly with ten men for so long, and Jose Mourinho barely needed to attempt to ’shut out’ the game – the goal alone did that. Nevertheless, this was far from Mourinho’s finest moment, as his Inter side looked uncomfortable throughout. The sending-off of Sissoko was extremely frustrating, as Juventus looked to have outwitted Inter by playing three forwards in an unusual manner, and Pep Guardiola will have been watching with interest. at least this points to something encouraging: someone seems to have finally found a role for Diego to be effective in, as a false 9. Not really sure what the problem is here, but the line of rhetorical questions there goes from strange to bonkers quite quickly. Well I realize my first comment came too soon after the game so some passion was overflowing so let me clarify just exactly what my point is w/o going “bonkers”. 1) You wouldn’t categorize Chelsea’s victory over Manchester(red half) as “Chelsea rely on offside goal to win”.and the reason is that that would be an unfair depiction of how the game went. it was an eventuality. (reliance is a sideswipe at what exactly was taking place in the game. even “forza juve” said it, there were a host of chances that were uncharacteristically squandered. 2) My sneijder point is that: he was one of a HOST OF PLAYERS WHO PLAYED BADLY. you’re saying inter’s performance coinciding with his, suggest that it’s him. But what about both Milito and Pandev having nightmares? What about Motta not “controlling” the tempo as he usually does(relatively successful)? Inter’s poorness was more a result of squandering than of ineffective play. the match stats themselves speak volumes. YET THE CHANCES CREATED RARELY EVER INVOLVED SNEIJDER. because as you correctly pointed out he was being well shutdown by either one or both of sissoko and melo. The chances were still there even with him being poor and it was in fact the uncharacteristic indecisiveness of Milito(one of his worst games in maybe 2 years) that made inter struggle (pandev too), not “over-reliance on sneijder”…it’s a sideswipe that although valid in general (inter do rely on sneijder as arsenal deny on fabregas), really wasn’t valid and paints a rough picture that need not be, and it fell to me into Inter-bashing. but we’re all entitled to opinions though. 1) Is a false comparison; Chelsea were 1-0 up anyway, Inter were 0-0 and struggling. But that’s an irrelevant point anyway so let’s not bother with that. 2) “he was one of a HOST OF PLAYERS WHO PLAYED BADLY”. Yes, but the article doesn’t criticize him, does it? Merely says that Juventus squeezed their lines and gave him no space. Inter created chances, of course, but not nearly as many as they should have done considering they were playing at home against a rank-bad Juventus side who were down to ten for 50 minutes, and a large part of that is because Sneijder was so quiet. You yourself admit that it is a point that is “valid in general”, so I’m not quite sure what you’re really so strongly disagreeing with – you just seem to be intent on creating some kind of victim mentality against Inter and defending them staunchly regardless of the actual piece. It was Inter-bashing because they played poorly – I’m not really what else you would expect. Defending ones team doesn’t constitute a victim complex; to suggest that is pretty ridiculous. 1) Inter are neither the first nor last team to have a poor performance, but it’s the most critical title I’ve seen on your site (reliance is like i said a sideswipe)..considering the team “dominated”. You’re somewhat of a statistician so I don’t get what your qualms are. 64% possession etc etc. 2)the comparison to chelsea’s game was to suggest the ‘eventuality’ of how the game went. It’s valid in that what turned out to be decisive in both games can be viewed as reliance. Inter won the game based on these two pivotal things, as did chelsea based on the pivotal non-decision. Inter were 0-0 with Juve but the game was all “one-way” after 3-5 minutes. 3) TWENTY FOUR(24) chances are not enough? 3 one on ones are not enough? 4) It’s the derby d’italia (any derby for that matter); all table rankings and form and other factors go out the window. 5) I never suggested you were criticizing Sneijder. I spoke about you talking about Inter’s reliance on him when it wasn’t even relevant. It’s like when people point to the pace of the Premiership as the reason for a victory over an aglo-italian game etc. YES it is true that Inter ‘rely’ on him, but it wans’t a factor in this performance. I’m disagreeing strongly with the your use of reliance, both in the goals scored and Sneijder, it’s all very melodramatic and misleading. It’s almost as if Inter should apologize for sissoko’s red card. Or maybe apologize for maicon’s good shot. What exactly is the reliance?If that’s a victim complex, then I’m really really sorry.lol..
As a neutral I have to agree with ZM on this. Inter were poor before and after the red and rarely looked that dangerous. Without Sneijder (playing well) the team looks out of intelligent ideas and resorted to the directness of Eto’o or lumping ot towards Milito and Pandev. It’s not that Inter cannot win games without Sneijder, it’s that their play becomes stodgy and predictable. Without the red I could see a 0-0 or worse. 1) As is seemingly the case a lot of the time, when a team finds themselves a man up, they seem to play DOWN to the level of the other team, rather than use their man advantage. I think not a lot of coaches practice this situation and so players don’t know how to handle it so well. So Inter’s apparent “struggles” in the second half might be as much to do with that than anything Juve were doing. 3) I think at times in the second half, especially after the 1st goal, we saw Inter dropping back into that ultra-defensive shape that I think they might use against Barca. Eto’o dropped way back on the left, leaving Milito on his own up front. Highly interesting to see if that bears fruit in the semi. 4) Maicon’s goal was a great strike, but again, if the pressuring defenders do their jobs, those goals don’t happen. That he had the time to juggle the ball before striking says a lot about the mental or physical condition of the Juve at that point in the game – playing that long with 10 men is taxing at any level, even for the superfit professionals. I’d guess it’s because the team with 11 finds itself with a spare man, but almost always in defence. And most defenders aren’t versatile enough to allow a very efficient alteration in tactics. Bayern v United, I thought, was a good example of taking advantage of the extra man, thanks to their centre backs ability on the ball. Good pint Matt. Another argument for global skills for all players. How much more exciting would football be if all centerbacks could attack with the ball? Yeah I was actually predicting during the game that a gung-ho manager like Mourinho would almost immediately swap either a CB or a FB for an attacker, putting the attacker into whatever space is available – presumably between the bank of 4. A deep lying forward would be ideal, or say someone who plays like Snjeider – I don’t know enough about Inter to speculate who would be right. I was surprised that Mourinho didn’t go ahead and make a more pro-active change. Guess we are going to see another Barca show..
Not a convincing win, just as the 2-1 win against Chelsea to be honest. that is the tirade reference of these guys. 24 shots is plenty, and nothing to "snuff" at. Even if you're playing against Alcorcon, ask Real Madrid. 5 shots on target is perhaps the more interesting statistic. and the anomaly is revealed. Your argument changes in a final attempt at being an Inter-Basher. Every single person that has responded about this being “unfair”, has pointed out that Inter were extremely wasteful as opposed to being inept in making chances. So like the others, I will no longer waste my energies, you must be a Goal.com export. I’m an “Inter-basher” because of one report that states they played badly? Please at least try to make more sophisticated points. Any accusations of ‘bias’ that are presented ahead of actual comment and debate the game is always a sign that there’s little substance to the criticism. Whining about “Inter bashing” and bias because of one report you disagree with is both ludicrous and frustrating, and is the sort of tedious comment that has so far thankfully been absence from the comments section of this forum. The strangest thing is, there still isn’t any real argument to state why Inter didn’t rely on the sending-off and Maicon’s goal. They were extremely poor until the red card and struggled to break Juve down, and then they were dominant in the second half but looked far from convincing. If you want to not visit the site because of one report you don’t like, then fair enough. But you’re quite welcome to simply not visit the site rather than make a song and dance about it beforehand. Leave them be, ZM. Don’t get all Thomas Vermaelen and be drawn out of position and caught on the counter. Fans are…a tetchy bunch. Rebutt the tactics, leave the troll-baiting for forums. A common sentiment in your article is how 11 men should seek to exploit the man advantage against 10. I’m surprised to find this discussion missing today. Your thoughts? And – any inkling at all why the special one keeps throwing this fairly unsuccessful formation out? Goran Pandev is most pointedly not Arjen Robben, and it seems to split the team into attack and defense much more than the (alas, dour) 4-3-1-2 pre-Pandev. Most frustrating to see the hailed tactical genius keep forcing it – or perhaps it’s to mislead Pep? As a neutral I also feel the article is kind on Juve. They looked toothless throughout (even before the red card) and the only reason Inter didn’t score earlier was because their strikers were wasteful. I imagine Mourinho would be happy if Barcelona plays a similar system. Yeah, but we know Juventus are pretty damn bad. They played for a point and weren’t far off getting one (although it would hardly have been deserved). Inter should have pummelled them. Maybe pummeling them was never on their agenda. In the end, it seems to me that had Milito been his usual clinical self then they would take 3 points without too much of a physical effort (which in the end they did, albeit it was looking less probable as time passed). In a game like Inter-Juve, where rivalries can run deep, it was good for Inter that the pace or the physicality never really picked up. Having a bias is not a sin. Juventus are not “pretty damn bad”. It’s like suggesting that Chelsea HAS to pummel Liverpool. Yes, these teams are at a low ebb but to suggest that they should be trashed like some high-school team is ridiculous.So what if you don’t exactly have an affinity for Inter, just please don’t sprout these mundane, circular-logic filled supposed defenses of your stance. You have intelligent followers. Again, you’re assuming I “don’t exactly have an affinity for Inter” based on one article, when the site has clearly praised them when they’ve deserved it – see the win against Chelsea or the win over Milan. They played quite poorly here, so the article is critical. Apologies if it’s ‘circular logic’, but the allegations of bias are so mundane it’s tough to respond with anything not mundane. The ‘Juventus are not “pretty damn bad”’ bit made me laugh though, have you not watched them this season? ZM – I think you should completely ignore the haters. They are mostly talking complete rubbish anyway. 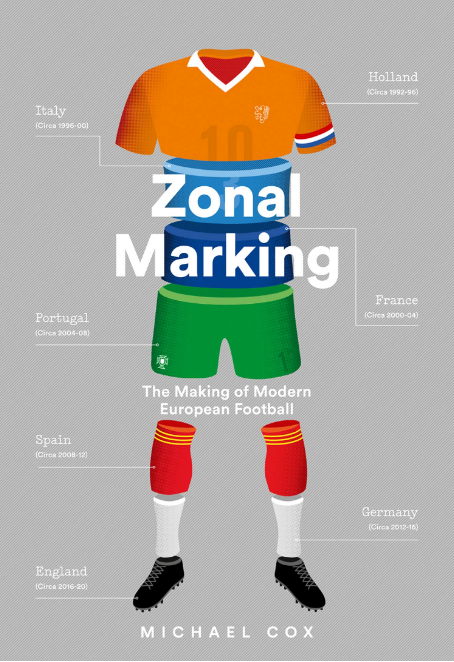 This is still an excellent blog with the best football analysis around, I only wish there was more of it (although, if there was, I’d spend all my day reading it and never get round to doing anything else). I find it very strange that you think this formation is this to what Juve played for most of the season. The only difference is that the 3 midfielders played slightly deeper than usual. That was probably out of respect (fear) of Inter and especially Sneijder. I’d still call this formation 4-3-1-2 and don’t agree that Diego played a different role than usual. When Juve have the ball, he drops in between the line of 3 (Marchisio – Melo – Sisskoko) and the forward line. When the opposition have the ball, the two forwards (Iaquinta and Del Piero in this match) have to be the ones who close down the full backs due to Juve’s lack of wingers. This leaves a lot of space for the centre backs to play in so Diego has to close them down. This leaves the Juve formation looking something like what you have the your diagram when Juve DON’T have the ball. When they do, it’s a 4-3-1-2 as usual. Juve were awful this season though and desperately need wingers next season to give Diego space to operate in in the centre. But with respect, it was a completely different shape, it quite clearly wasn’t a 4-3-1-2 as Diego didn’t drop back at all. 64% isn’t anything out of the ordinary for a side at home to a team with ten men for the majority of the game, to be honest. Surprised it was that low. 24 chances? Well that’s not correct. 24 shots might be reasonable, but a ’shot’ is very much difference from a ‘chance’. To be honest I simply don’t get the problem with saying Inter rely too much on Sneijder, when it’s plainly the case…as you’ve admitted yourself. Inter played poorly, struggled to break down Juve when they had eleven men on the pitch, and the game looked like it was meandering towards a 0-0 until Maicon smashed it in the top corner. That’s fair, as is the title of the piece – if you want to avoid ‘victim complex’ accusations then you shouldn’t start a response with ‘I don’t think I will ever understand why people write so harshly about Inter’ as if it’s something that’s tortured you time and time again. The article’s harsh about Inter as they didn’t play well, that’s all. all in all this article seems a little unprepared and rushed and for some inter fans may say a little bit bias. If it’s only Inter fans who think the piece is biased, it’s fair to say the problem with bias rests with them! Well I’m sorry ZM, the “lube” guy makes some good points. I understand that you are underlining that the scoreline is flattering, as it definitely was no “2-0″ performance, but to say that they relied on the red card, or a players brilliance is a stretch to say the least. Having 24 shots is nothing to snuff at, and that alone gives credence to his claim that you’re on some sort of tirade. Bayern Munich had 26 shots today and scored 7 goals. How many shots would they have to have in order to please you as a team playing 11 vs 10? Even when AC Milan played Inter 11 vs 10 since the 27th minute they didn’t create 24 shots (even if it’s not chances). Having watched the game, the shots themselves were not even loose cannon 40 yard shots, they were genuine opportunities.. So using the same logic as “lube”..shouldn’t the Manchester United post be “United RELY on Scholes header…”? I’m on “some kind of tirade” for suggesting that Inter didn’t play well – in a game they clearly didn’t play well in? Bayern don’t have to do anything to please me. It was a separate game and they were scoring lots of goals. Inter took until the 76th minute to score against a bad side they should have defeated comfortably – even with ten. United did rely on Scholes’ header, but what do you want, the same headline on every piece? No, that would be tedious. forzajuve certainly doesn’t represent an Inter fan. Neither am I btw (Lazio). If a juve fan can find this article flattering and suggest that they would have eventually “crumbled”..that really speaks volumes. Maybe…just maybe, the problem rests with you. I’m very disappointed in this reply, correct me if im wrong but i thought this site is a neutral football site whose analyze the game in terms of formations and tactics and their impact to the game and your reply still did not explain why you did not mention that inter had plenty of chances in this game. @sammy – he answered your question previously, when he said that inter did not have that many chances because number of shots does not constitute number of chances. If your friends are as uptight as you are, then please don’t recommend this site to anyone else. Did you people actually watch this game? Inter played a terrible game as a team, and relied on individual’s brilliance to score a goal 76 minutes in with a man plus for most of the game. They failed at creating anything substantial in the first half, second was a bit of an improvement but still a massive disappointment. I don’t know if inter has unjustifiably been criticized in other articles on this page, but this one is 100% justified. There’s no “problem” with me at all. You might suggest that there is a problem with the article – I would respectfully disagree – but again you are seeking to outline bias in the writer which is both (a) incorrect and (b) utterly boring. To be honest, I thought they stretched the play quite well, getting the full-backs into advanced wide positions…they just seemed to have trouble in creating chances. But Juve almost played with seven defenders, considering the holding players were so deep, and they made it difficult to break them down. I think Inter’s problems might be physical rather than tactical at the moment, they look really tired. 23 shots (or whatever it was) doesn’t suggest they struggled to take chances. It suggests they struggled to get them on target (wasn’t it 5 or something on target?) As I said earlier, they seemed to rush a lot of these chances and half chances, which might reflect the point you make about them being tired – they may be mentally and physically fatigued at this point in the season competing on three fronts. Probably more mentally fatigued, given the amount of information Mourinho gives his players on the opposition. Also, Ink: I don’t think JM could ever be hailed as a tactical genius. What he does is very basic. What he DOES better than anyone is get his players to buy into it and to perform their roles to the best of their abilities. He’s certainly a genius manager, but I think his tactics have always been fairly basic, save for the minor adjustments based on his in-depth scouting reports. He -is- hailed as a tactical genius – which really just means the hype machine is correct. Following him across the continent for a few years now, I’d have to agree, but he does have the right idea with 4-3-3s in Europe and versatile forwards. Perhaps he’s just a fantastic man-manager (a better Redknapp?). Even that is debatable, considering how much he’s playing Milito (and much of Inter’s first XI) and how terribly haggard they look. EDIT: also, when the comment thread gets so long, it does feel a bit ridiculous as the screen gets narrower and narrower. Redesign, maybe, ZM? What do you mean by the screen getting narrower – you mean when you reply to someone and it becomes ‘nested’ below? Yeah I agree that looks silly, but it’s limited to six replies I think, so not too silly. Not sure how to get around that, other than maybe to do away with the nesting feature. You need to find someone to rewrite the page code, the comments system here is a bit chaotic. Any chance you could take a screenshot to show what you mean?